The days are getting shorter and the temperature is getting lower, so what is it that all of us love to do when the seasons change? 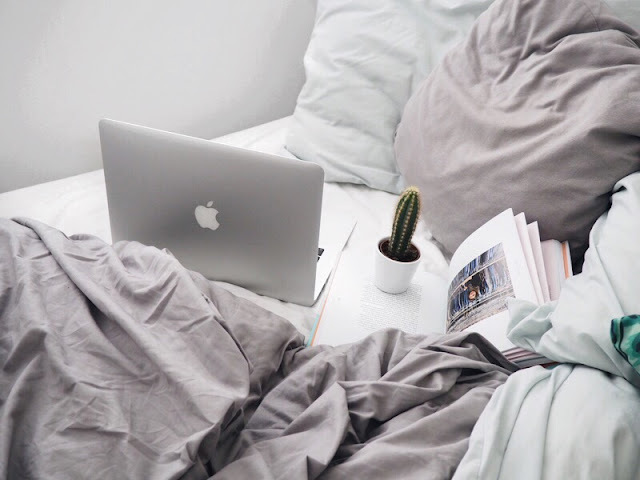 Snuggle down with a blanket and hot chocolate, maybe even light a few candles and most importantly binge watch a series or 2 so if all you want to do is this but you're struggling to decide what to watch I thought I'd list a few that I deem worthy of binging and possibly addictive. he show is based around a hospital focusing on interns, residents and attendings who are trying to establish their roles and build their way up into the doctoring world as well as the struggle to have personal lives and form relationships. I would say if you can't handle blood and things it's probably not the best as they have a lot of major surgeries going on, but it's such an amazing series, I'm only at season 5 and I cannot stop watching it. Emotions run high while watching this so make sure you have those tissues because it is such a tear jerker. Humans: Humans aired on Channel 4 over a year ago and is only an 8 part, I have only watched 2 episodes so far and love it. The show is based explores the themes of artificial intelligence and robots, and the invention of anthropomorphic robots called "synths" and the effect this can have on us as humans. The suspense in the first to episodes has been unreal, I still can't grasp yet whether these 'synths' are good or not, but I don't think I'd openly welcome one into my home. Season 2 has already started so get watching! The O.C. : This is not a new series in fact it the last episode last aired nearly 10 years ago, but I feel like a small majority of people have watched and for that reason I have to mention it as it was something I really enjoyed watching during secondary school when it was introduced to me by a friend. It's your average teen in high school with lots of drama involved kind of like One Tree Hill meets 90210 meets Gossip Girl all rolled into one. But the Cohen family will completely draw you in none the less, their family humour always had me in stitches and made the sad moments all the much easier to watch. It's a series I always go back to watching when I don't know what else to watch. Nashville: So ok I haven't actually watched Nashville, well actually I watched a few episodes of season 1 scattered but could never find the time to sit down and watch it properly, which is a shame as I enjoyed the episodes I did see and so for that reason it has made the list. It's based around a country singers lives and the rise and falls of their careers and personal lives. So if a bit of singing and drama is what you fancy then this will supply both. I love a show where there are catching songs you can get up and dance to and also at times grab that tissue and have a little cry. Gilmore Girls: This is another series I haven't actually watched yet but so many people are ranting and raving about it on twitter and so it's something I know I want to watch at some point during these cold months, it's supposed to be very light hearted compared to the other 4 I mention, as its based on a mother and daughter who try to navigate their lives through human in the fictional town Stars Hollow in Connecticut. Pretty Little Liars: I'm sure many have you have actually watched this and are anticipating the final season just like me, but in case you haven't theres still time to catch up before! Pretty Little Liars follows the lives of 4 girls fighting there way through high school while being tormented and stalked by a mysterious 'A' no one knows who 'A' is and the girls are desperately trying to find out who it is as well as still coming to terms of the lose of their friend . This is definitely not a show to just put on in the background as you will want to find out who 'A' is and become so emotionally invest in the girls lives. Pretty Little Liars is one of my all time faves, but I haven't watched ANY of the others on your list! I need to get cracking! I always love PLL but I can give a try to Humans. Great recomendations. Love this post! I really want to start watching Grey's Anatomy!